Royal Canadian Legion Branch 614, located at 100 Salome Drive, near Brimley & Sheppard, held its annual Remembrance Day service on November 11, at 7:00 p.m. In addition to many Branch members, those attending this moving traditional ceremony included members of the Sheppard East Village BIA and the C.D. Farquharson Community Association, as well as local MPs, MPPs and a member of City Council. On Saturday October 25, Hogan’s hosted an appreciation event that recognized over 150 volunteers, from the Scarborough area, actively involved in the Pan American and Parapan American Games that will take place in Toronto (and other Ontario locations) next July. 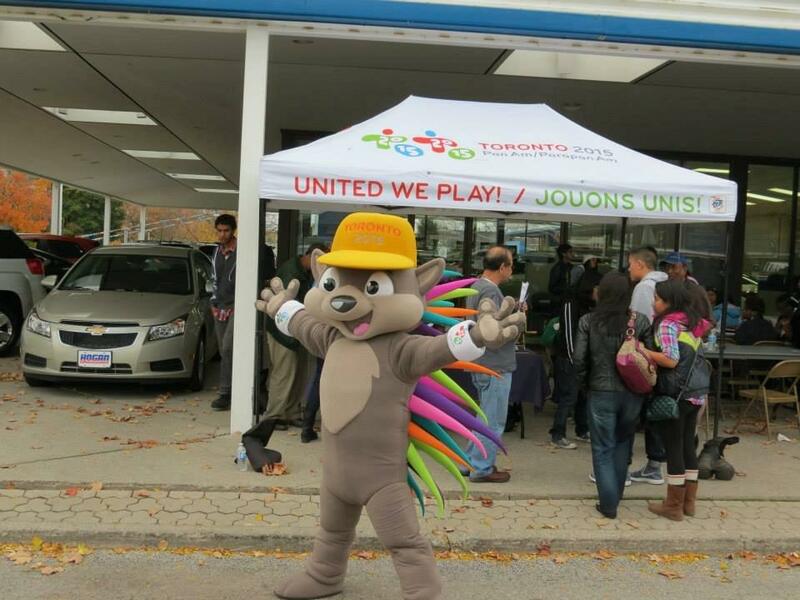 One highlight of this event was the appearance of the Games mascot – Patchi – at Hogan Chevrolet Buick GMC, located at 5000 Sheppard Avenue East. 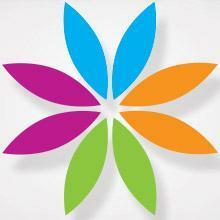 Chevrolet is one of the title sponsors of the 2015 Pan Am Games. Sheppard East Village BIA announced that it has agreed to help promote the Pan Am Games – one of the largest events to ever take place in Toronto and Ontario. We will be providing some banner locations to help promote the Games in our area and we will support the Pan Am Games in other ways. One great feature of the Games is the new aquatic centre at the University of Toronto Scarborough Campus on Morningside, south of Highway 401. This is an invaluable nearby resource that will benefit world-class athletes and our community, for many years to come. 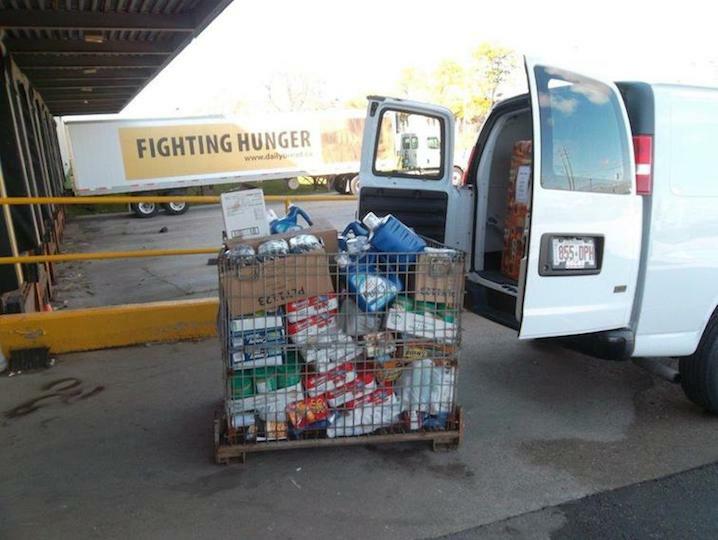 We were pleased to learn that the Thanksgiving Food Drive at Hogan Chevrolet Buick GMC, that ended on October 10, 2014, collected over 1,100 pounds of non-perishable food and goods for the less fortunate – to be distributed through the Daily Bread Food Bank. Thanks go out to all of the customers, staff, suppliers and management of Hogan, who worked so hard to ensure that this year’s Food Drive would achieve this result. Read more about Food Drive Successful! 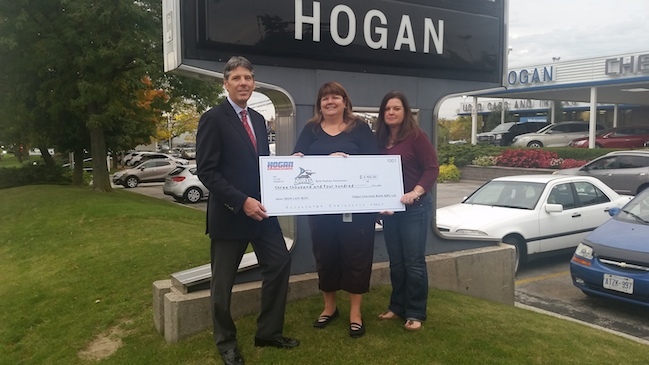 For 4 hours on October 5, 2014, people took a no-obligation test drive and enjoyed a barbeque at Hogan Chevrolet Buick GMC – all in support of the Scarborough Sharks Girls Hockey Association. Olympic Gold Medal Winner Natalie Spooner’s return to Hogan was one of the highlights of this exciting event, that raised $3,400 for the Sharks Association. Congratulations to Hogan for this innovative way to support local sports in our area. The staff at Sheppard Village Dental talk about this first-ever event in our area – that took place on July 20 -and how they are already planning another day of free dental services in our community next June. A highly-regarded community choir – the Amadeus Choir of Greater Toronto – has recently relocated its office to the Mandarin Shopping Centre, at 4386 Sheppard Avenue East, just west of Brimley Road. Lydia Adams, Musical Director and Conductor of the Amadeus Choir, also conducts the internationally- renowned Elmer Iseler Singers and was presented with the Premier’s Award for the Arts recently. Once again this year, Sheppard East Village BIA is pleased to have been able to provide each of 7 nearby neighbourhood schools with funds that will help offset the costs of the agendas (daybooks) that they hand out to each of their students, on the first day of school. Funds have been delivered to the Principals of Agincourt Collegiate; Sir Alexander Mackenzie and White Haven Senior Public Schools; C. D. Farquharson, Agincourt and North Agincourt Junior Public Schools; and St. Bartholomew Catholic School. 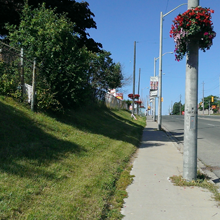 If you have been in the Sheppard East Village BIA area recently, you may have noticed an inviting and appealing new feature: 64 floral displays hanging from 32 Toronto Hydro poles, from Midland Avenue to Markham Road. These attractive plants will be on display until the fall and are designed to make our area look and feel a little more welcoming - to neighbourhood residents, to customers and to visitors. We have also had a number of complements from members of the BIA, who enjoy seeing our plants near their stores and offices. In the spring of 2014, the Sheppard East Village Business Improvement Association (SEV BIA) completed 3 activities related to our members’ opinions about transit planning in our area. On April 16, an area transit information meeting was organized, for SEV BIA members only, with presentations by officials from Metrolinx, TTC and GO Trains.